Africa 1483 is both a stand alone game and expansion for Europe 1483. Providing an 18 player game of medieval conquest and diplomacy in central and lower Africa. 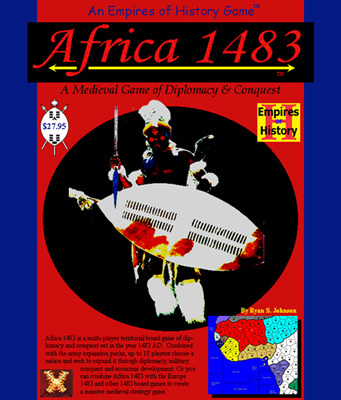 Or link the Africa 1483 game map to the Europe 1483 game map to create a massive 46 player game experience.